To understand the people who've profoundly impacted history, we're exploring the books that profoundly impacted them. Here, Tweed Roosevelt, great-grandson of Theodore Roosevelt, tells us about the 26th president's love of Lincoln, penchant for Hungarian poetry, and the birding book that inspired his great conservation legacy. 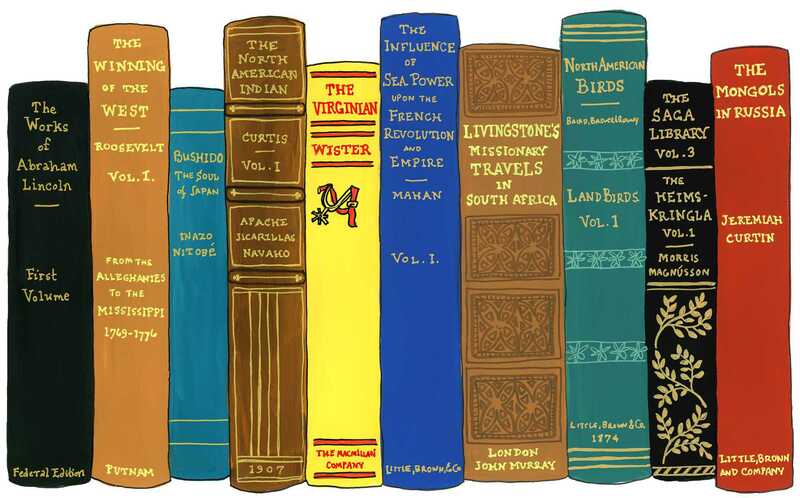 TR’s life involved a lot of books. He read books voraciously starting as a little boy. Much of his life, he read as many as three books a day. He could read very fast. He could remember what he read. And he read everything. 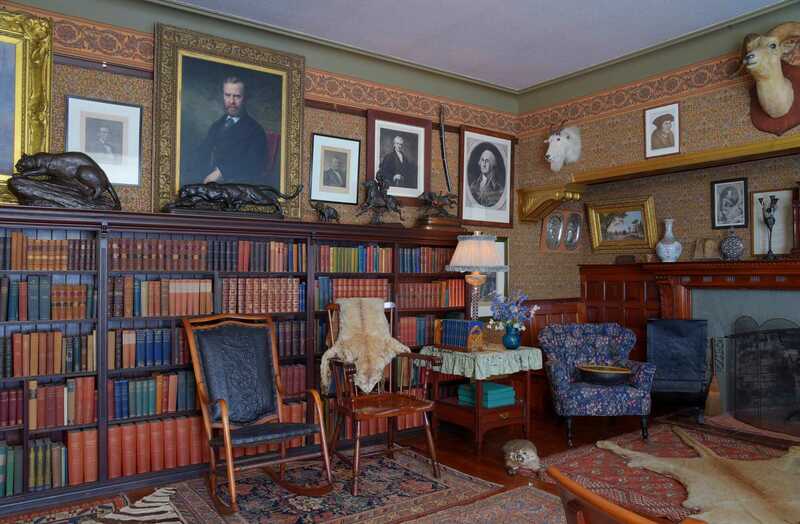 In fact, at Sagamore Hill, his home on Long Island, there are currently 9,000 volumes of his. And that’s just the tip of the iceberg — TR gave books away right and left. Like guns — he did the same thing with guns. So nobody has any idea how many books he read. Somebody commented that as a little boy, he used to carry around Livingstone’s book about Africa. “The book was bigger than he was,” is what they like to say. But as you look through what he read, you can get a very good picture of the man — of what interested him, of what he knew about, and the breadth of his understanding in all kinds of different areas. Some of them relate directly to his life, and some of them are rather odd, actually. For example, he loved the Icelandic sagas, the Norse sagas, the whole Norse mythology. What the sagas are kind of selling, if you will, is how to live a moral life, and he absorbed some of that. And, of course, they’re rip-roaring stories of adventure and high drama and the clash of gods and men. I think a little bit of his marshall character came from books like the Icelandic sagas, or the Roman books, or books on chivalry — he read a great deal of that — and Shakespeare, of course. One very influential writer on him was Lincoln. He read all of Lincoln’s collected works. He got a lot of inspiration from him. Lincoln, with all his human faults, was the gold standard for a president. Among other things, I think TR looked up to him as an idealized model of what a president should be. It’s interesting: TR complained, if you will, or opined, that he could never be a great president because to be a great president, you had to have a great war. And I’m sure he was thinking of Lincoln, among others. Fortunately, we didn’t have a great war under his watch — mainly due to him I might add; he doesn’t often get the credit he deserves for his really deft handling of foreign policy. Now TR’s understanding of international relations, I think, is rooted in his understanding of history and the literature of many, many different countries. It was very deep. One example is Japan. There was a famous author named Nitobe, who wrote a book called Bushido: The Soul of Japan. He wrote it in English around 1900, trying to demonstrate to the world what Japan was all about. One of the basic character developments of Japan was the samurai code, and that’s what Nitobe wrote about. If that’s all TR had read about Japan, he would have had a good start. But he was also deeply versed in Japanese poetry and Japanese history and all aspects of their international policy, and so on. The relationship between the U.S. and Japan was going through a difficult period at the time. Through very deft diplomacy, TR managed to defuse the situation. And that’s just one example. Let me tell another story. TR was in the White House at some kind of state dinner. There was a long line of people filing by and shaking his hand as they went into dinner. One of them was a lower level Hungarian diplomat. When he got up to TR, he said, "Hello, Mr. President, How are you? I am Mr. Unpronounceable Name from Hungary." And TR said, "Delighted to meet you" — I’m making up the speech here — "delighted to meet you, I’ve always loved your national poet, Mr. Also Unpronounceable Name," — a Magyar poet from the 1830s. TR said, "I particularly like his poem" — and he name one of the poems. And he said, "My favorite part of that," — and then he proceeded to quote a dozen lines. And the Hungarian diplomat was rather shocked — he didn’t think any Americans had ever heard of this guy. So, thinking perhaps the president, knowing the Hungarians were going to be there, might have boned up on his Hungarian literature, he said, "Did you just read it?" And TR said, "No, I read it 30 years ago." He had that kind of memory. And not only did he know this Hungarian poet, he knew Hungarian history. He knew Mongolian history, too. Here’s an example: Believe it or not, in 1900 or thereabouts, the West had completely forgotten about Ghengis Khan. They didn’t have any idea that in the 13th century, Genghis Khan damn near conquered Europe, and the only reason he didn’t conquer Europe was because he figured they were too poor and useless and there was nothing of value there. Anyway, under rather odd circumstances, I was called upon to introduce the prime minister of Mongolia at an event. And I thought to myself, What am I going to say? There can’t be much of a connection between TR and Mongolia. So, I did some research into this and I discovered that the West was reintroduced to Genghis Khan by an author, a professor, a historian, who wrote a seminal book around 1900 called The Mongols (it’s still an important book, you can find it). Well, guess who wrote the introduction? And it was a substantive introduction. It was extraordinary — he could talk to people from almost anywhere and in depth, know about their subject. 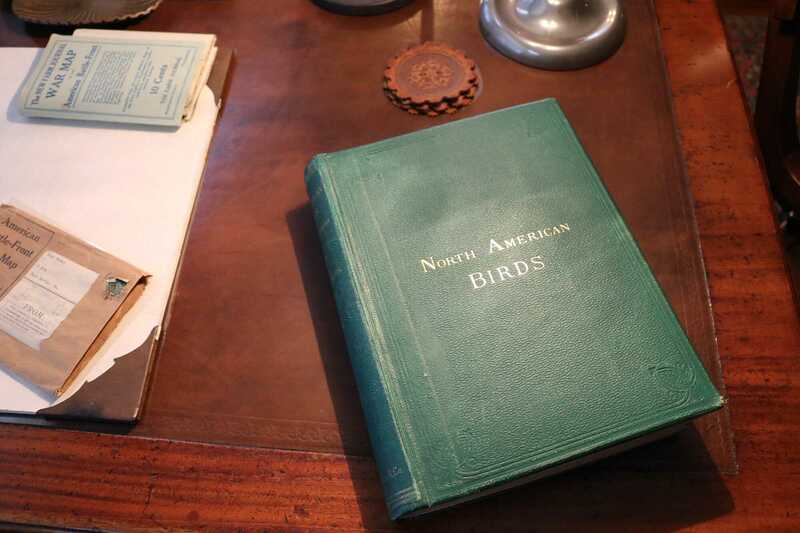 Now one of his favorite subjects — and one of the books that had a ton of influence on him, was the ornithologist Baird’s book called Birds of North America. When TR was a young guy, starting in his teens or even earlier, he got very interested in birds. When his family went on European trips, he would collect birds along the way. Some of them are still in the Museum of Natural History, these stuffed birds — and he would stuff them himself. Later, he wrote extensively about birds and really did a lot for them — creating national bird reserves, for example. Now we have, I don’t know, 50 of them or something — they’re huge places. But one could argue that TR’s tremendous legacy of conservation all started with Baird’s book on the birds of North America. So you could pick about any part of TR and you’ll find initiation books about it because TR read everything. Another example: TR was a great navy guy. His interest in the navy perhaps started because his uncles were confederate naval officers — of course they were on the other side, but nonetheless he idolized them. And there was an author called Mahan and he wrote a seminal book in let’s say the 1880s called The Influence of Seapower Upon History. It was a totally new way to look at navies and what they do and it was very influential for TR. Another aspect was his writing books. He wrote some 35 books in his lifetime. Originally, the most popular were his books about the West — that’s what made his mark as a book writer and a storyteller. There was a trio that created the myth of the west — TR, along with Frederic Remington, who illustrated many of his books and was a friend of his, and Owen Wister. The first real western ever written as a novel was something called The Virginian by Owen Wister — and it’s dedicated to TR. That was the classic. It’s full of chivalric stuff. Interestingly enough, very similar to Bushido — these guys only fought when they had to. The Virginian was sort of like the movie Shane — you’know, Shane had laid aside his guns — that’s a wonderful movie. Anyway, TR certainly read Owen Wister’s books, and maybe other Westerns. But more to the point, he wrote them. You know Curtis the famous photographer of Native Americans? He was spectacular. TR had a complete collection of those, and knew Curtis, and Curtis stayed with him and took photos of his kids. Anyway, you asked me what TR read. He read everything. 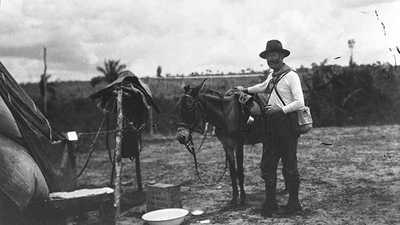 Naturalist and explorer George Cherrie kept a meticulous diary of the journey down an uncharted river in the Brazilian Amazon, which he took with Theodore Roosevelt in 1914. 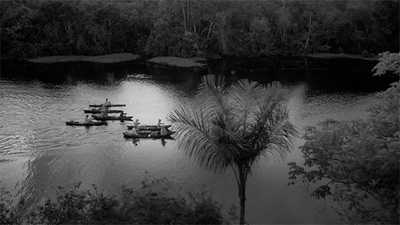 The remarkable story of the journey taken by President Theodore Roosevelt and legendary Brazilian explorer Cândido Rondon into the heart of the South American rainforest to chart an unexplored tributary of the Amazon in 1914. When Theodore Roosevelt was near death on the banks of an uncharted river in the Brazilian Amazon, he pleaded with his son to leave him behind. 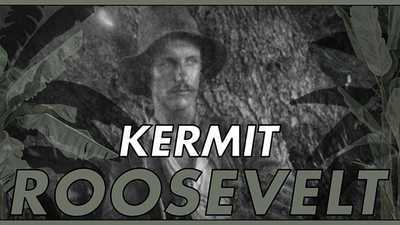 But Kermit Roosevelt refused.